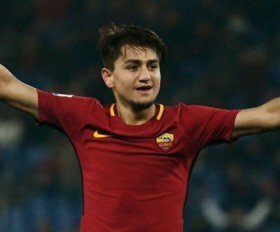 Arsenal have reportedly ended their interest in signing Roma attacker Cengiz Under after being outpriced in their bid to sign the Turk. Under has been hugely influential for Roma this term with six goals and eight assists across all competitions and his efforts have caught the attention of Gunners scouts. However, the club seem far off from agreeing a potential move for the 21-year-old, given Roma have demanded £10m more than the initial £35m move for the winger, The Mirror reports. Instead, the Gunners seem to have set their sights on signing Denis Suarez from Barcelona and Sky Italia claims that a deal in the region of £20m could be finalised in the next few days. The former Manchester City graduate has already worked with Unai Emery in the past at Sevilla and his versatility to play in both the midfield and wider positions seem to have encouraged the Gunners to make the move.